1. Myth: Yoga is twisting your body around into strange positions in a really hot room. 2. Myth: Yoga will make you a better person. 3. Myth: Yoga is about Hinduism or Buddhism. 4. Myth: I am too stiff to do yoga. 5. Myth: Yoga is for women. 6. Myth: Yoga causes injury. 7. 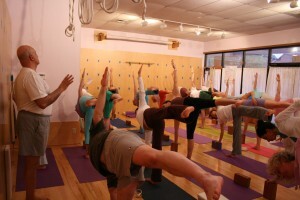 Myth: All yoga studios and instructors are the same. Thanks for providing nice information.it’s awesome.